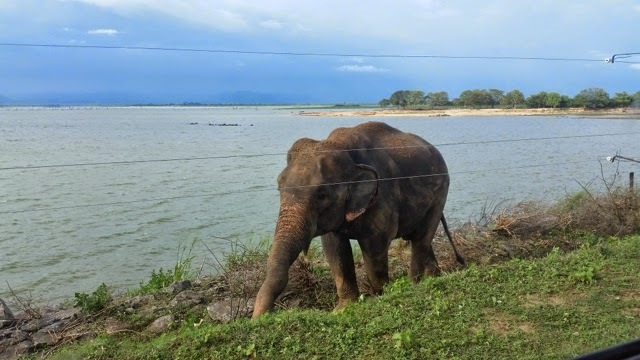 Enjoy a visual tour of Sri Lanka - "The Resplendent Land". 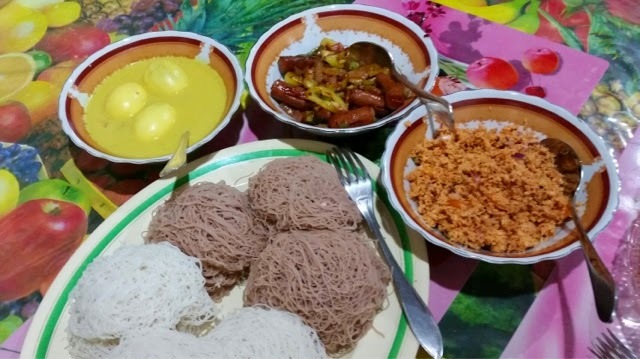 String Hoppers with Egg Curry; Sausage, Onion,,Chili; Coconut Sambal. The most gorgeous sunset we have ever seen painted the sky on our first night back from this weekend's Mission. Just when we thought it could not become any more amazing - it did. That's how God is! Doing wondrous things that cause us to worship Him in awe. Then just because He loves people - doing something even more spectacular. If you don't believe in miracles - you may be skeptical about what I am going to write here. Let me share two verses from God's Word, the Bible, that I hope will challenge you to believe. 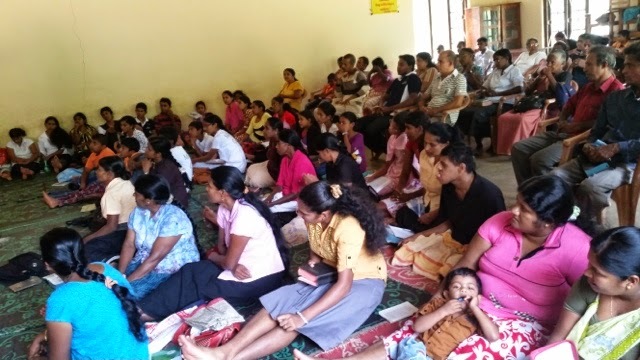 At the 126 year old Methodist Church in Katana, Sri Lanka, people arrived at 6 a.m. for the eye clinic scheduled to start at 9 a.m. They waited patiently to see if they would be given a number that gave them access to the eye exam. They came expecting. Some received eye glasses that enabled to them to see clearly for the first time in many years. Whether to sew, read their Bibles, or for distance vision. Each was grateful. The cost to travel to the city, have their eyes examined, and then purchase glasses was far beyond their financial ability. Everyone received personal prayer. Many were touched by the healing power of God. 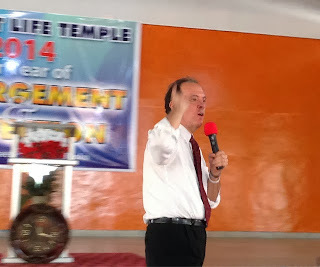 We saw several definite miracles this past weekend. We expect to hear about many more. These are real people, with challenging lives, who will never forget that God Almighty loves them and healed their bodies. Suvarnalatha is a lady in her 60's who came in with a pair of old bifocals. Gary examined her eyes and wrote down the strength she needed. Then he and Layasing prayed in faith that God would heal her eyes. At the dispensing area - none of the glasses improved her vision. After trying four different pair - we sent her back to be reexamined. Her vision was better without any glasses at all! God had restored her eyesight. An elderly Buddhist couple were only given one number for the eye exam. The wife asked that her husband's eyes would be examined. He is 84 years old, she is 74. Both are small and thin - yet strong in the way you have to be when life is hard and physical labor in the hot sun is a daily requirement. She was talking to him very loudly, and explained that he was extremely hard of hearing. After his eye exam - he received prayer for both his eye sight, and his hearing. When his wife realized that he was starting to hear better - her eyes welled up with tears. The love they had for each other was clearly evident. His hearing continued to improve and we are expecting to hear that it is fully restored. The wife's eyes were also examined (even without a number). Both received reading glasses and went away very happy - knowing that Jesus loves them. A college age girl came and asked for reading glasses. 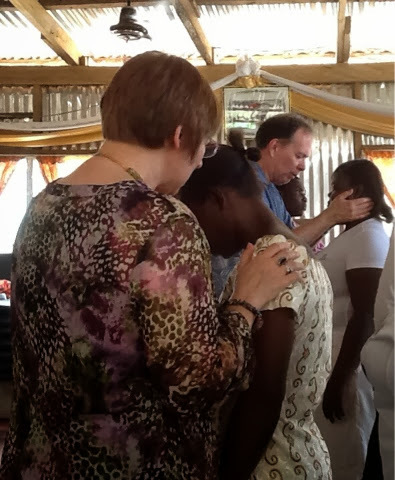 As she was prayed for, God touched her eyes and her vision became clear so she did not need glasses. When a pen light is shone into person's eyes, cataracts reflect the light and can be clearly seen covering all or part of the pupil. They cause the vision to be cloudy or muddy. 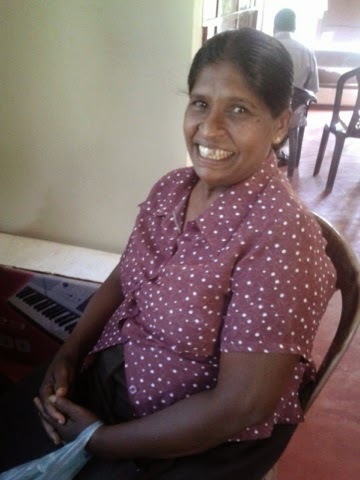 A Buddhist lady named Kusumawathi came with cataracts in both eyes. They were so bad that a vision test would not have been possible. As Gary and Layasing prayed, she said a white light hit her eyes. Gary checked again and the cataracts were dissolving. Prayer continued and her eyes totally cleared. They looked as clear and bright as a young child's. She could see clearly - the cloudiness was gone. She left with mild reading glasses, praising God for her miracle. A second lady also had cataracts in both eyes. Her right eye became much clearer, and the left eye started to clear. Believing for complete healing for both eyes. Saturday evening was a healing service. After seeing cataracts literally dissolve through the power of God, Gary preached about the account of Bartemaeus receiving his sight in Mark 10:46-52. Jesus is the same today as he was 2,000 years ago when he walked this earth. Restoring physical sight. Giving spiritual sight. Changing lives through His love. Thank you for your part in what God is doing. Your love, prayers and support makes it possible for us to deliver His love to these precious people. The first lesson you learn when traveling and working outside of the US and Canada is: Be flexible and don't stress - over anything! Between a busy schedule, and intermittent access to the Internet - we have a lot to share. Expect our updates to come at random intervals. The itinerary planned for our trip has already been adjusted twice. The locations for our first two weekend Missions were switched. 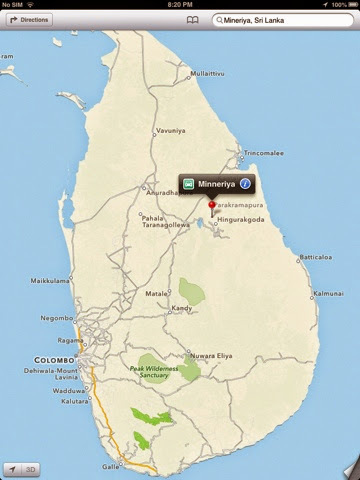 When we arrived in Sri Lanka on Thursday Oct 9th - we drove to Minneriya, a city on the Eastern Side of the nation. Since the civil war ended in 2009, the army built and runs the hotel where we stayed. The grassy sports field was great for our morning walks. We watched the new recruits take their morning run, while dodging the pack of stray dogs, and a couple grazing cows. This is where we had our first taste of Sri Lankan food - and it is really delicious. The weekend Mission Outreach was hosted by the Minneriya Methodist Church. They invited several neighboring churches to join them. It was wonderful to see the different denominations come together, including the local Foursquare Pastor. Friday was an all day Eye Clinic. Over 60 people were seen, with 50 receiving glasses. So many people had cataracts, it was heart breaking. After getting their eyes checked, each person was prayed for. Then their glasses were dispensed, and they were prayed for again. God's Word promises that the prayer of faith will heal the sick - and that includes God touching their eyes! Saturday - Gary shared the Word during the two morning sessions, and Pat shared in the afternoon. Many people gave their hearts to The Lord! Many came up for prayer for healing. On Sunday morning we were overjoyed to hear several reports from those that received their healing! The Pastor's wife had taken a bad fall 5 years ago and because she was unable to receive any medical attention she had constant pain in her check bone. She testified that when she was prayed for, the pain in the left side of her face stopped immediately. Sunday morning worship service with all four Methodist Churches in the area joining together. The people sit on mats on the floor. They sing beautifully accompanied by a simple hand-drum. to believe and declare and thank God for the answer as we worshipped. After service dismissed, the people who had not been prayed for on Saturday came up for personal prayer. 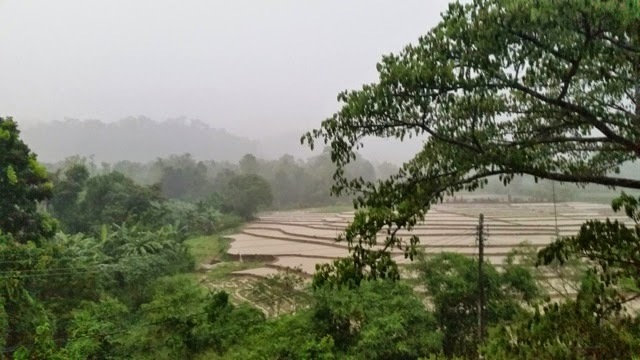 After a typical Sri Lankan lunch of rice, dahl, fried tank fish, and onion sambal, we packed up for the 6 hour drive back to our home base in Moratuwa. The Golden Carriage in Moratuwa is our base hotel. The lack of hot water in the morning is easily forgotten when we gaze out over the Indian Ocean breaking less than 50 feet from our 2nd floor balcony. The crashing waves provide the sound track for our dreams. Even the trains rumbling past become hypnotic. Look for more updates soon. Your ongoing prayers and love and support mean so much to us. What does it take to travel half-way around the world? 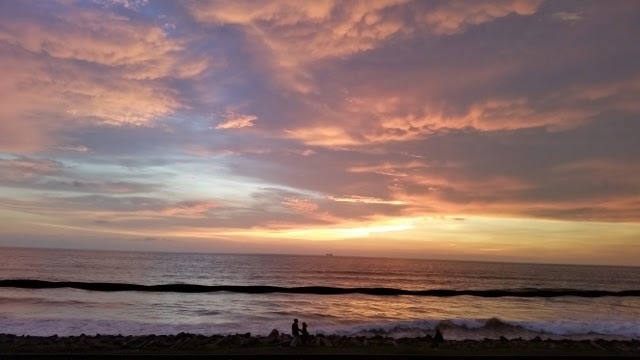 Our journey took about 38 hours, across 12 time zones and through five airports before finally arriving safely in Colombo Sri Lanka. Leaving Las Vegas at 10 a.m. Tuesday morning, we landed in San Francisco and changed planes. Eleven hours later we landed at Tokyo's Narita airport, changed planes and headed to Bangkok Thailand on a 6.5 hour flight. The last leg of our journey on Sri Lankan Air was just 3.5 hours. We arrived in Colombo Sri Lanka at 11 a.m. Thursday October 9th. Crossing 12 time zones meant that we 'lost' 12 hours which we'll regain on the flight home. 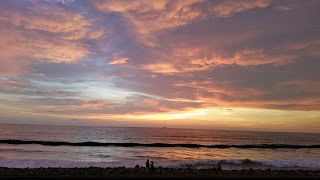 After Sri Lankan Immigration, we picked up our luggage, cleared customs, changed money, and stepped into the tropical day to meet our hosts Layasing and Deepthi DeSilva. 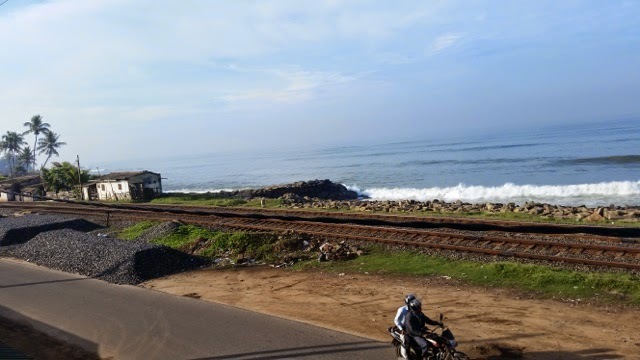 From Colombo we headed North East 220 km (approx 132 miles) to Minneriya. The journey normally takes under 5 hours. However, the two lane road is being widened - which made for a lot of stop-and-go travel. This portion of our journey ended 45 hours after leaving Las Vegas, when we settled into our hotel room for a restful night's sleep. 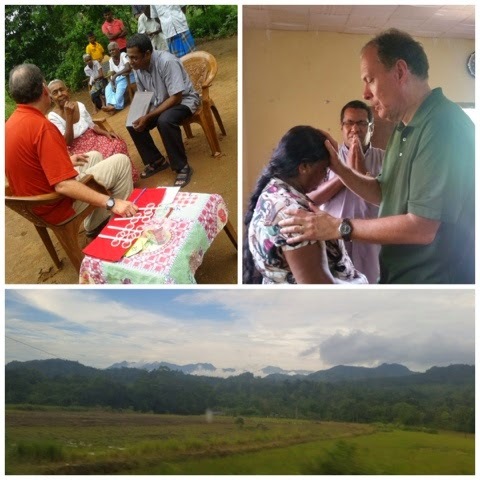 Many of you have expressed your love and prayerful concern as we prepare for our trip to Sri Lanka. We leave on Tuesday, October 7th. Your prayers are so important to us. There is a strength, a comfort, in knowing that God listens and answers the prayers of His people. It is true that there is a lot going on in this world we live in. It is also true that our God has promised to keep us from the evil in this world. (John 17:15) This gives us great peace. We are being wise and keeping our physical bodies strong and rested, while avoiding obvious dangers. There is a compulsion to go. A sense of urgency. If we don't take the love and life of Jesus Christ to hurting people - who will? Our mission is clear; Share His love with those who are considered 'the Least of These,' and encourage the faithful pastors, evangelists and missionaries who live full time to serve them. Your love, support and prayers are the fuel that keeps us going. Thank you! From the depths of our hearts. In less than one month Pat and I will be flying to Sri Lanka, a small island nation off the southern tip of India. 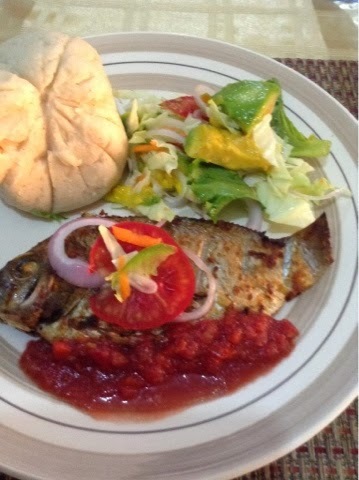 It seems like only yesterday we were in Ghana! 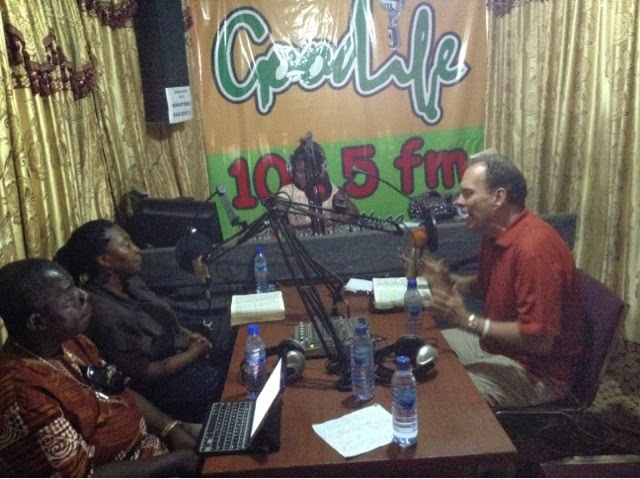 It was so exciting to see how well the three eye clinics in Ghana went, and we are believing for a greater multitude to be affected physically and most importantly spiritually with these outreaches. We are taking over 400 pair of glasses! 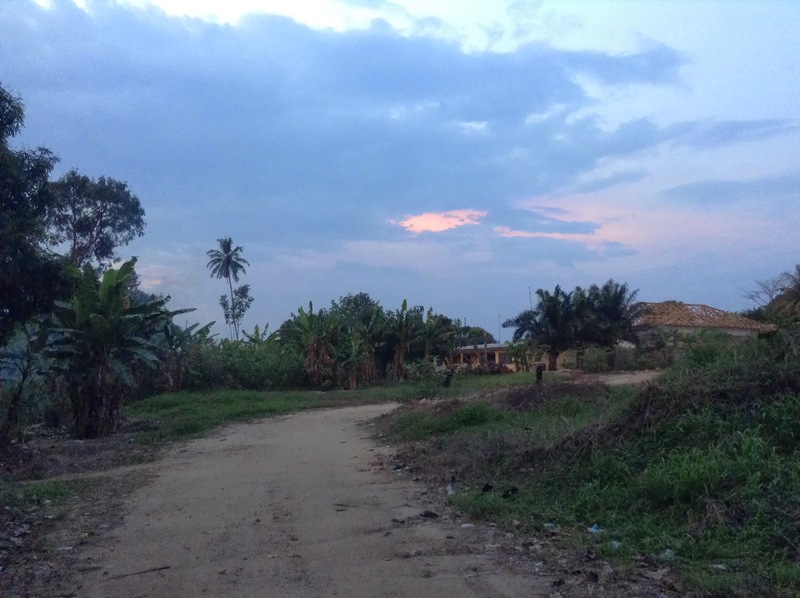 Sri Lanka is a Accessed Restricted Nation with Christians in some areas experiencing persecution. We strongly ask for your prayers for the Pastors and Leaders we will be working with. Some of them have been beaten and their churches burned down - but they are still faithfully laboring in the harvest field.
. Many to receive salvation, healing and deliverance.
. To impart hope and the love of Jesus to the heart of this nation.
. The presence of God to be in every meeting. We would love for you to join us in these prayer requests and any other the Holy Spirit may lay on your heart. August is here and for Pat and I that means one thing - returning to Montana! 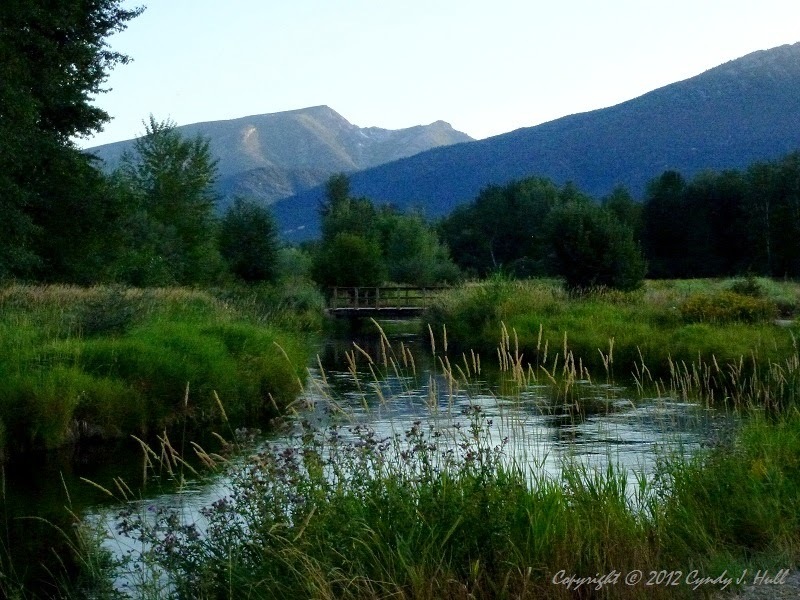 Montana is where Pat and I met at Bible School, got married and started in ministry over 32 years ago. We lived there for 10 years before moving to Las Vegas. 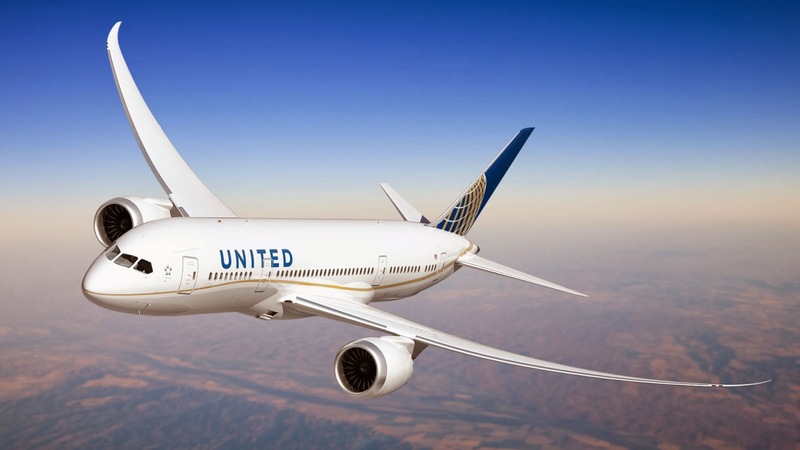 We will be arriving in Missoula August 15th and returning to Las Vegas on September 1st. 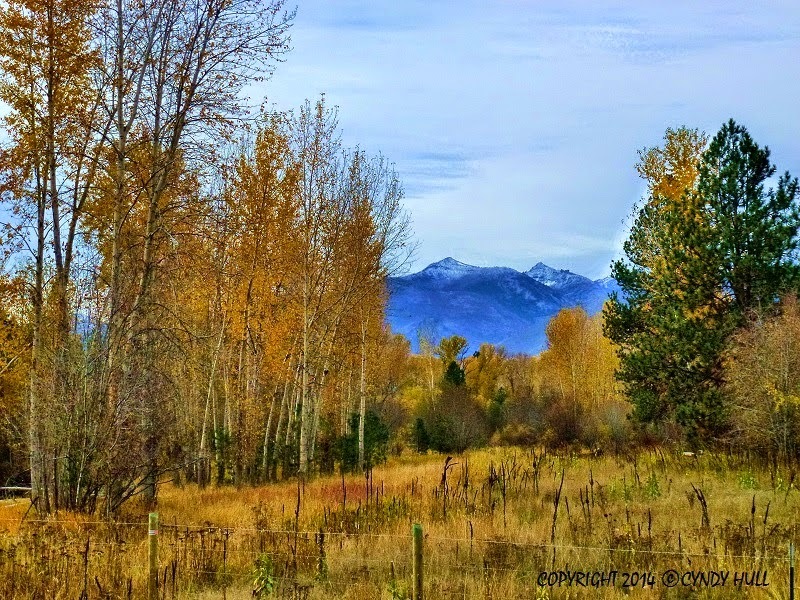 We're looking forward to getting back to "Big Sky Country" and enjoying the beauty of the Bitterroot Valley. It will be a time of ministry and visiting with friends and family. The following meetings are scheduled, we still have a few open dates. We are already preparing for a trip to Sri Lanka from October 7th - November 5th. More details on the Sri Lanka trip will be sent out in September. 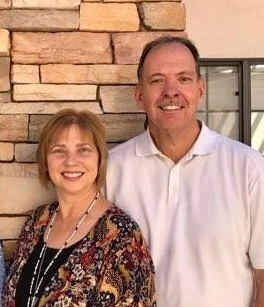 Thank You for standing faithfully with Pat and I through your prayers and financial gifts as we walk out the destiny the Lord has set before us. Words can never express how important you are to us. Our continual prayer for you is that our Heavenly Father will give you the spirit of wisdom and revelation of Him and that you would be continually overwhelmed by His goodness and love towards you! 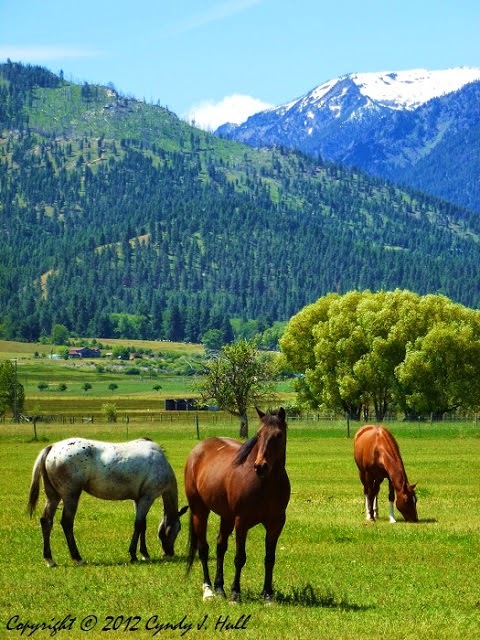 Enjoy more Montana scenes at www.Montana1aDay.com. Thanks Cyndy for sharing your talent. It's 10:00 a.m. The tropical air is over 90 degrees Fahrenheit with about 70% humidity. People have been lined up since 6:00 a.m. waiting to have their eyes examined and receive free glasses. 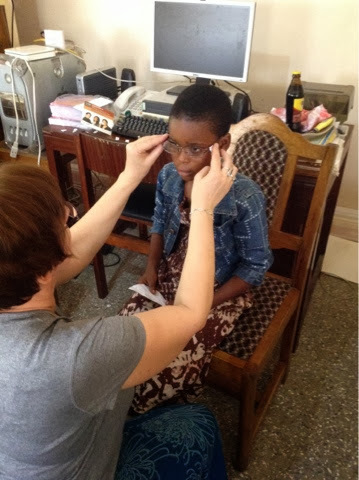 This is how our first two days of Eye Vision Clinics in Ghana began. They were more successful then we could ever have imagined. Each person who made the journey to "Church On The Rock" was excited and expectant. Receiving a basic eye care exam and eyeglasses is not financially possible for most of them. The third Eye Vision Clinic was held at the Baptist Schools Complex and Orphanage (BASCO) where the children had never received any type of eye care. The team of local volunteers were invaluable as they registered and hosted the people, translated into the local language, and even took over dispensing eye glasses. 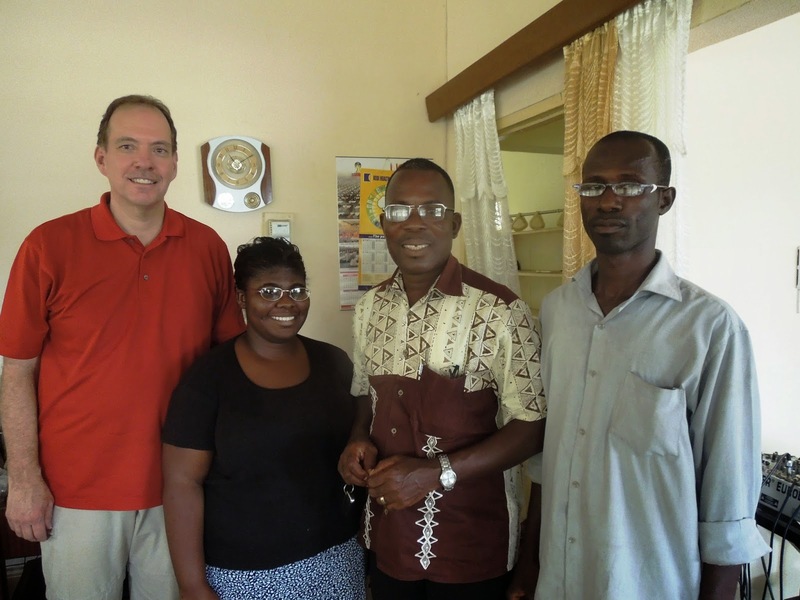 Local Ghanaian eye doctors and nurses gave of their time and training to provide more in-depth eye exams for many. Facts and figures cannot capture the joy when people look through their new glasses, and exclaim "It's so clear! I can read my Bible!" However, we do want to show you the number of lives touched through this simple, yet profound, outreach of love. Because of your generous giving we were not only able to provide eye glasses for those who needed them, but also the prescription eye drops for the children. Ten of the children have seen an Eye Specialist for more serious conditions. Three received surgery and were prescribed custom eye glasses. These additional costs will all be covered because of your wonderful generosity. Thank you for your heart in giving. Thank you to our Church Family in Ghana who picked up the vision for the clinics and gave their time and energy to make it a success. After a tiring day of flying almost 24 hours, through our plane's window, we got a glimpse of the Las Vegas strip lit up at night. Pat and I sighed in relief - finally we were back home! Although we greatly enjoy being overseas and feel like we belong where ever we are, there is something comforting about being in your own home, sleeping in your own bed and being able to take a hot shower instead of a bucket bath. The trip was more than we expected. 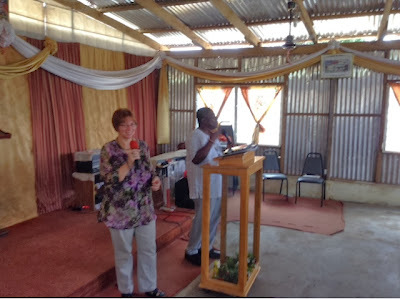 In one short month we ministered in 21 Church Services, 9 Radio Programs, 1 Women's Aglow Conference, 1 Youth Conference, 1 All Night Meeting, held 3 Eye Vision Clinics and an all day Orphanage Outreach. Every service was phenomenal. 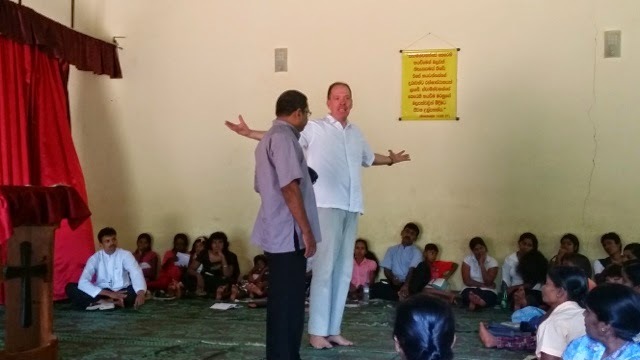 People were saved, healed and baptized in the Holy Spirit. We saw the Lord restore hearing to six people's ears and one man's frozen shoulder become normal with full range of motion. We are believing that all the other people we prayed for will see their healing manifested. 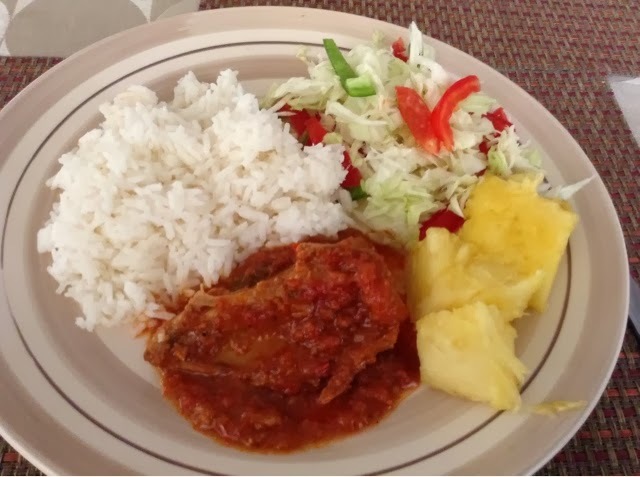 Our next blog will report more on the three Eye Vision Clinics that were held. They went better then we could have imagined. We are waiting for the final counts on the amount of people that were treated, glasses dispensed, medication provided and souls touched. You will be excited to hear the results! 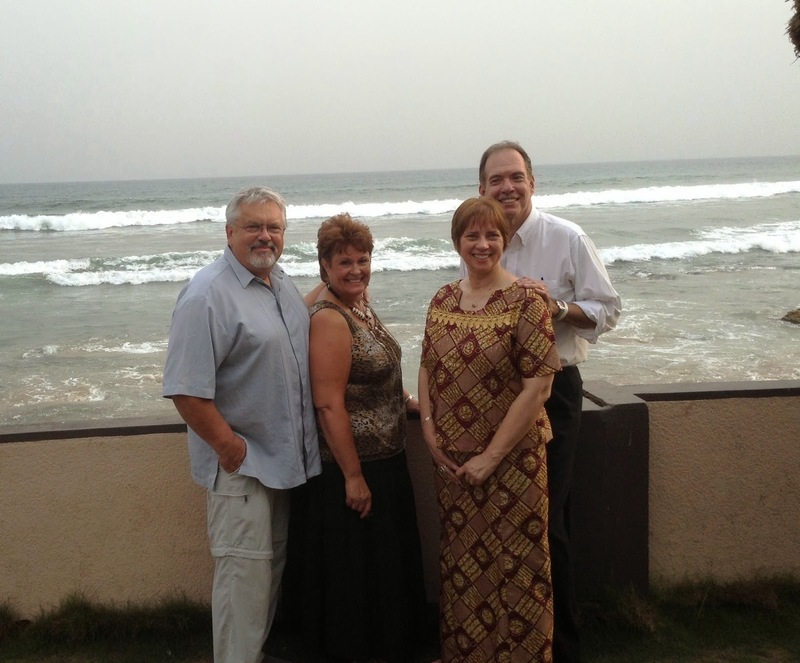 It is hard to believe that we are starting our last week of ministry in Ghana! This past Sunday we again had two wonderful services! 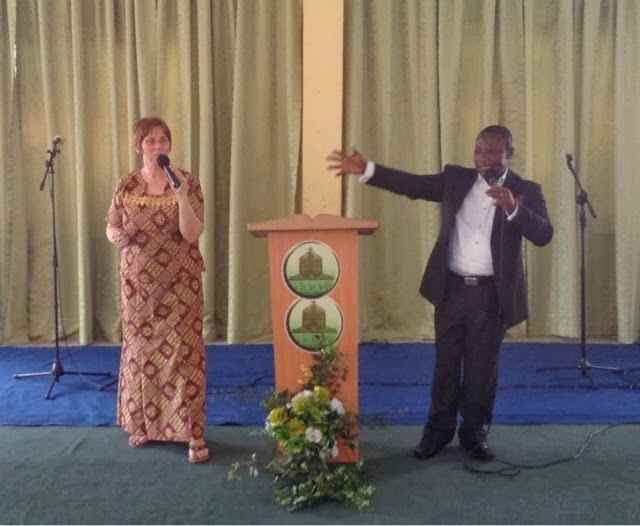 Pat ministered at Living Hope Covenant Family Church in the Capital City of Accra and had an anointed service where people's purpose and destiny were revealed. I ministered at Radiant Life Christian Center's Celebration Service. The message was on Jeremiah 29:11 "How to Possess Your Future." The presence of the Holy Spirit was strong and when the altar call was given 25 people came forward to receive Jesus! This Friday we are participating in the early hours of an all night prayer and praise meeting. Saturday will be the last Eye Clinic at a large orphanage where the local Church On The Rock team will also be ministering with music, preaching, fun activities, dance, and gifts of food. We want to reach these children with the Good News and bring hope and joy into their lives! 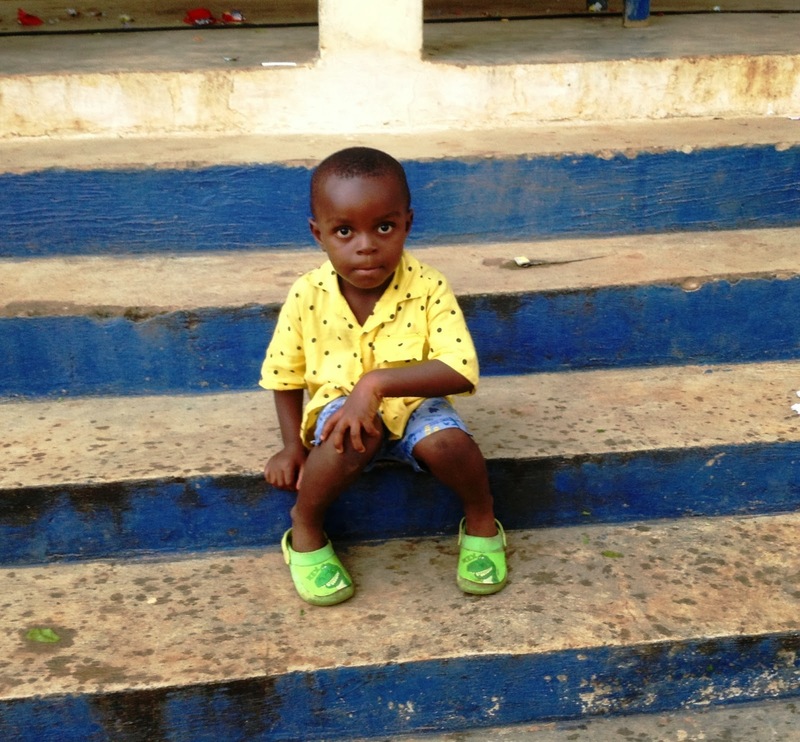 More than half of the children here are true orphans, which means they have no parents or relatives to take care of them! our taste buds for supermarket produce!